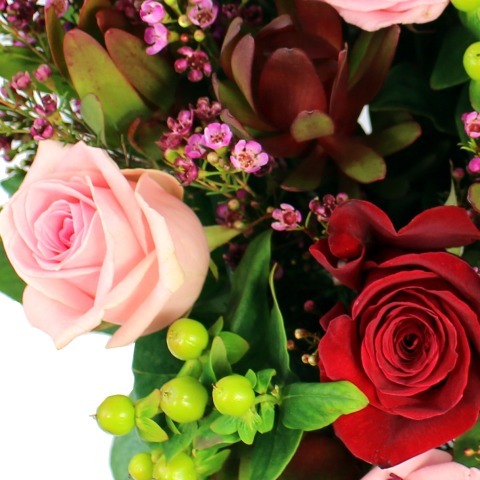 This Luxury Valentine's Bouquet of our finest deep red and soft pink roses expressing desire and devotion. This bouquet is certain to make an impression this Valentine's Day. 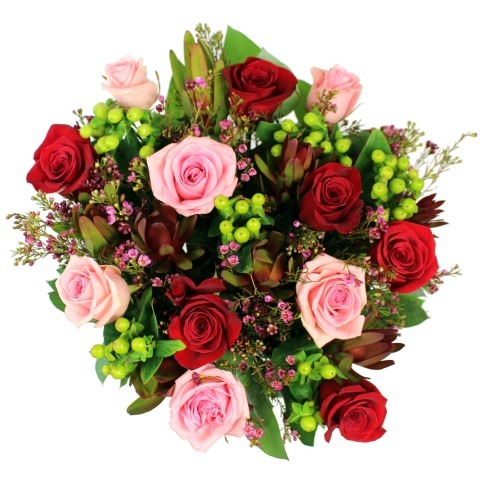 These gorgeous roses are arranged by hand with delicate pink waxflowers, rich safari sunset leucadendron, lime green hypericum berries and fragrant eucalyptus foliage.